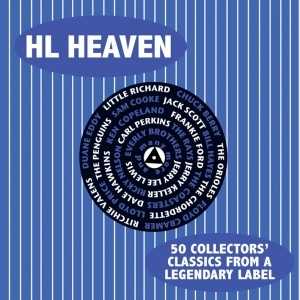 This great value 50-track 2-CD collection brings together fifty of the releases under the famous HL record number prefix from Decca’s celebrated London American label, which released American records from a variety of labels which Decca acquired for UK release. Alongside some of the classic hits which the label enjoyed it includes some of the excellent, but more obscure and collectable 45s which have rarely, if ever, been on CD. The label was, and is, a favourite of aficionados of ‘50s pop, and the label and distinctive generic singles bag design were highly recognizable. Altogether it’s a feast of rock ‘n’ roll era goodies to delight the enthusiast and bring the memories flooding back.